There is something about marbled surfaces that looks so chic. No wonder the marbling trend is huge lately. DIY-ers are getting crazy marbling everything they can think of. If you want to try marbling but are still skeptical, we encourage to look at these fantastic tutorials for making marbled paper. 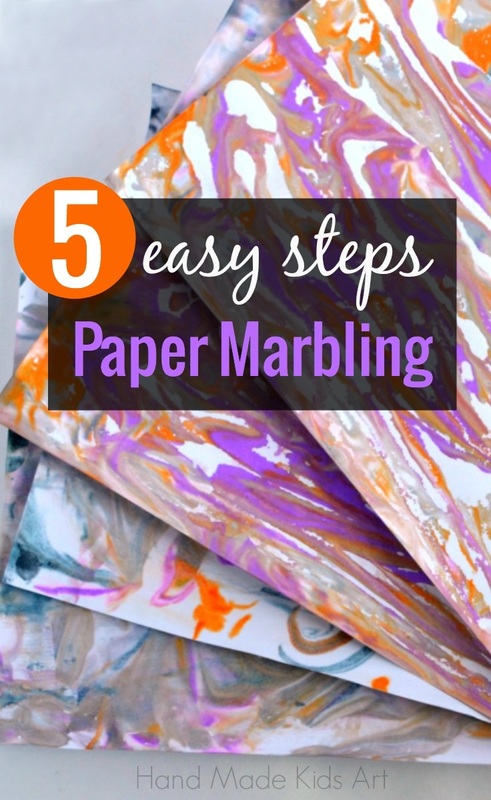 This is a great way to start marbling as paper is a great medium for it. 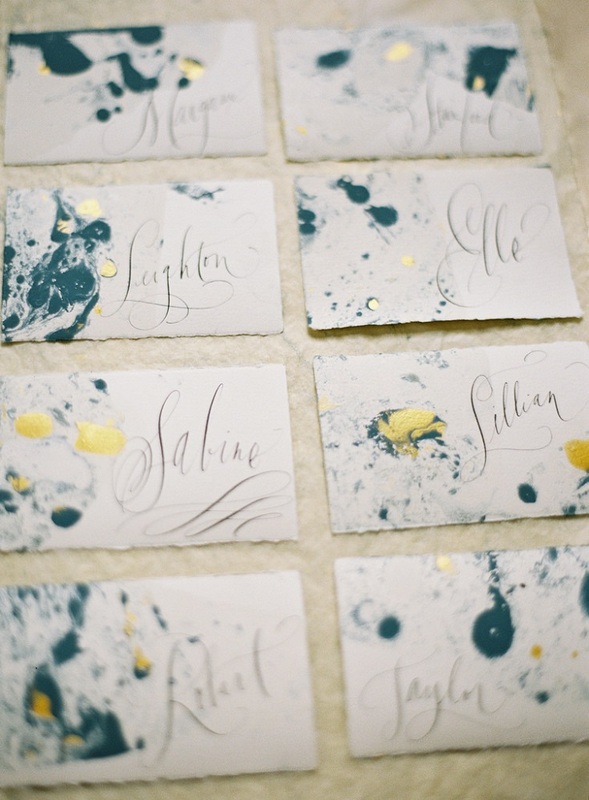 You can use marbled paper to create stunning art, envelopes, garlands etc. 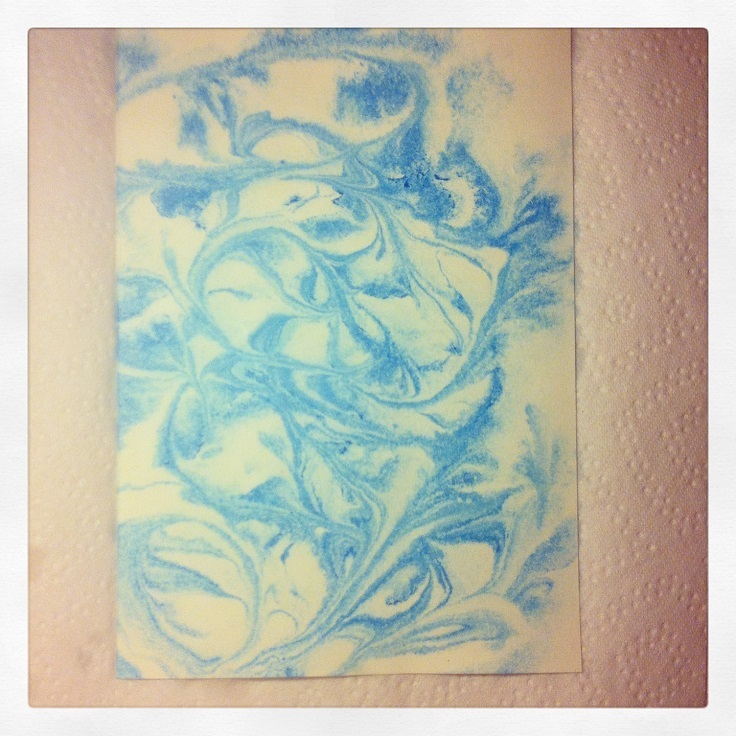 Marbling paper can be a great craft to try with your kids. It is up to you to choose which method you prefer, the results are always stunning. So find your favorite tutorial, get everything you need and start marbling! How about creating amazing marbled paper by using milk? Yes, this method uses almond milk, which you can substitute with cow’s of course, dish soap and food coloring. So as you see it is totally safe for you to do with the kids and trust us – they will love it! 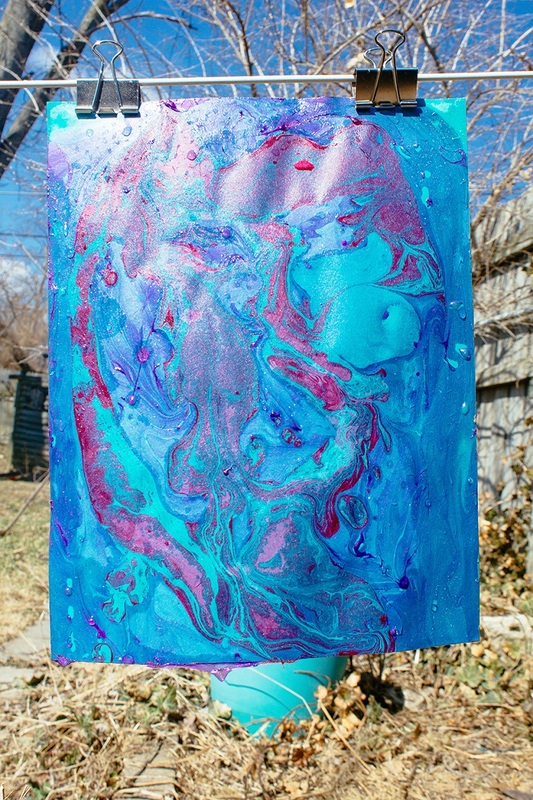 You have probably heard that you can marble paper with shaving cream and food coloring, but if you are still skeptical of whether it really works here is a tutorial that will prove it to you. The final result us stunning and the tutorial itself is so detailed and easy to follow. You will love it. This tutorial is provided courtesy of Martha Stewart Living and you can check it in full on the link above. It is actually a simplified method to make marbled paper (or any other medium you prefer). There are 13 detailed steps that will show you how to create a beautiful marbled peace by using alum, methocel, ammonia and distilled water. Here is another excellent method of making marbled paper, this time with nail polish. It only takes 10 minutes to prepare and finish this project and the result is totally breathtaking. The finished product is perfect for media background or to frame or to give away as gifts. Marbling with marbling paint is super easy. You will need paper, tray, marbling paint, water and cocktail sticks. Make sure you pick up to 3 colors for best results. If you use marbling paint that is oil-based you will need white spirit to clean up any spills. 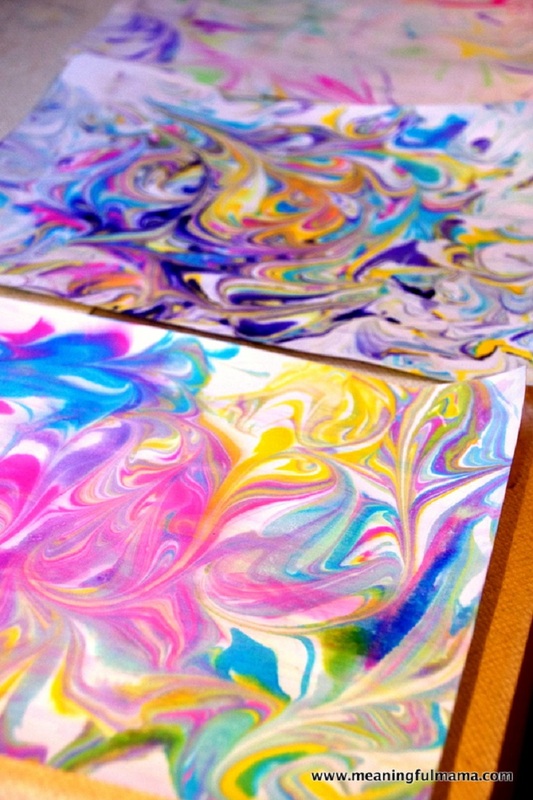 Use liquid colors and shaving cream to create beautiful marbled paper. If you are not sure how to do it here is a video tutorial to show you the process in 5 easy steps. Follow the steps and don’t forget to let the paper dry well when finished. You will need 3 simple things to make an amazing piece of marbled paper you can then use for a credenza make-over like shown on this project – decorative paper, spray adhesive, sharp craft knife (like x-acto). When you get all that you need just follow the tutorial and you will be stunned by the final result. Use wheat, rice or flour paste and acrylic color to create a marvelous marbled paper. This method will pleasantly surprise you. Just make sure the paste has to be thick enough to carry the color and that the paper isn’t too thick. 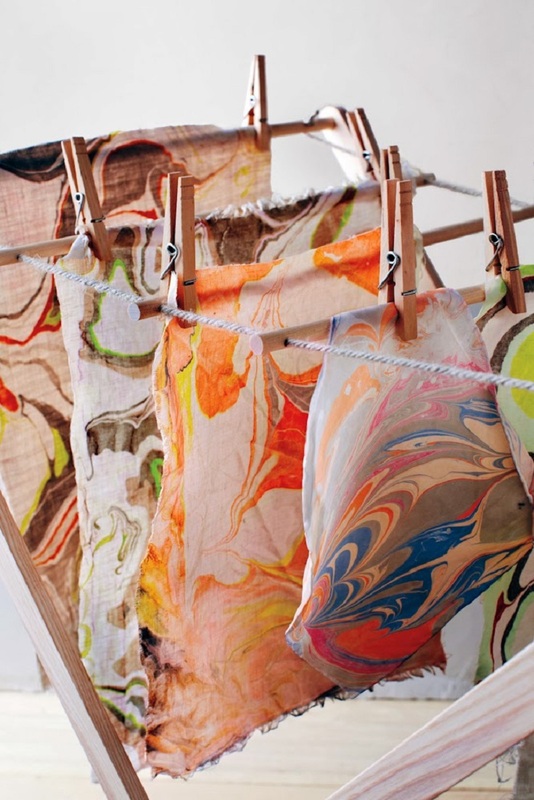 Making marbled paper is a great activity for you to do with your kids. It is creative and easy so they can participate and get engaged. If you decide to do this with your kids choose the shaving cream and food color method as it is safest. Try gel colors and use a muffin tin to sort them out. Follow the rest of the tutorial on the link above. To make this beautiful oil-color marbling look you should use oil paints, diluted with turpentine. After you add the color to the paper create patterns you like with a chopstick, a paintbrush, or a marbling comb. Have in mind that Oil paints take 24 to 48 hours to fully dry. Beautiful results! Can’t wait to try the one with the shaving cream.